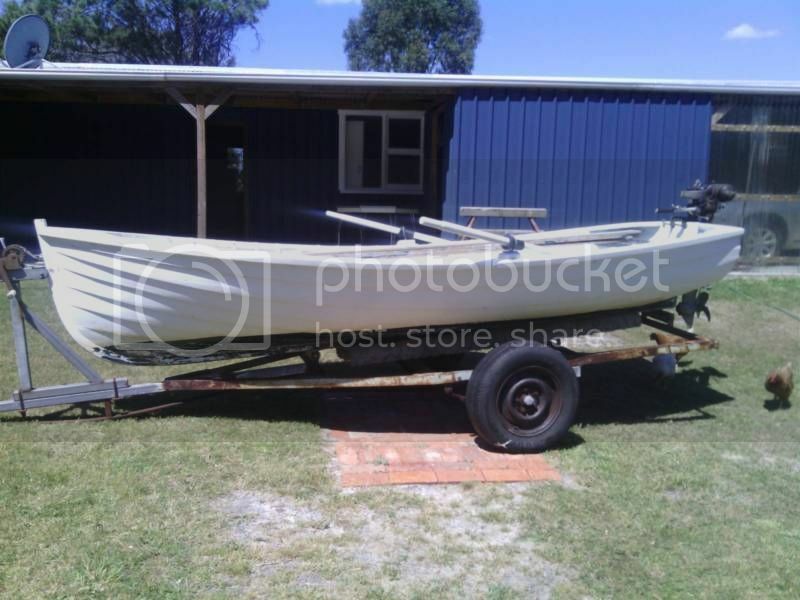 Pity its so far away $500.00 for boat and three motors anyone need a boat for the Nationals? motors ( 2 in working order) plus paddles. Needs restoration"
Yes i saw that, but i don't think AJ, would pack it and ship it to Queensland for me. And he has a boat for the channel crossing, all ready. That is a very pretty hull, but would I live long enough to finish it, & it's not like you can just pop down to the timber yard over here to buy two lengths of Billy & one of Huon. I did have a look, at the ad not the boat, but concluded it was too small for me anyway. It is a nice package though and would make a great day boat very similar to Lollipop. I guess it will stay in Tassi to ship a boat across Australia is not really practical, unless you are towing. AJ where & for what purpose do they build boats that shape over there in Tassi, no rocker, full transom, almost vertical stem looks like a outboard powered dingy, but not with a sheer like that. This boat was probably built pre war as a harbour /river tender and would have been propelled by oars. the LBT has a similar vessel now used as their rescue boat on the Huon River at Franklin. photo of Roan attached. 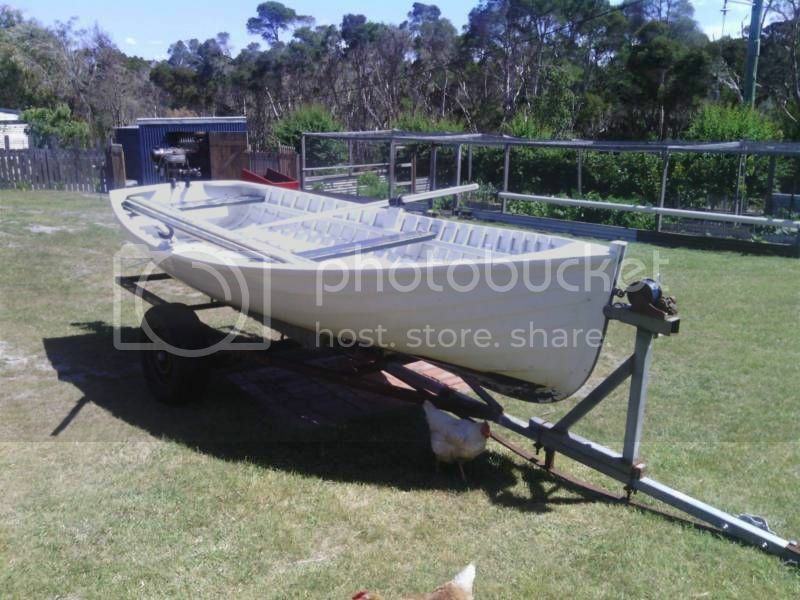 I suspect the boat for sale on Gumtree has had a bit of a checked past and does not have good providence (no known builder) thus the extremely low price. A "Fazackerley" of similar age and build would command 10times the $ value without the gulls. Tasmania's wooden boat heritage is as long as colonisation with just about as many types as there are years most were good practical boats built from the local timbers cut from the river side forests. Here's a pic of Green Bean at the Seagull Nationals.